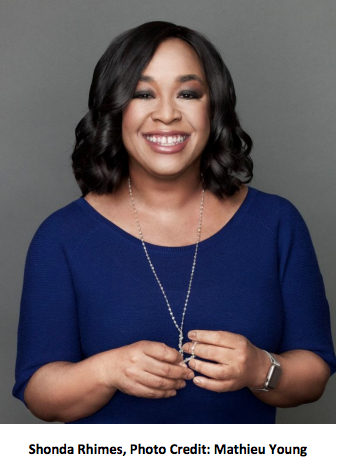 Simon & Schuster to Publish “Year of Yes” from Acclaimed Show Runner Shonda Rhimes | News and Corporate Information about Simon & Schuster, Inc.
New York, N.Y., June 2, 2015 – Television’s preeminent showrunner Shonda Rhimes will publish her first book with Simon & Schuster this fall, announced Vice President and Editor-in-Chief Marysue Rucci today. In December 2013, Rhimes, the mega-talented creator of “Grey’s Anatomy”and “Scandal”and executive producer of “How to Get Away with Murder,” was issued a challenge: for just one year, say YES to the unexpected invitations that come your way. Shonda, a self-professed introvert, reluctantly agreed. And the result was nothing short of transformative. 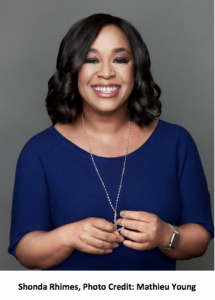 In YEAR OF YES, scheduled for publication in November 2015, Shonda Rhimes chronicles the powerful impact saying yes had on every aspect of her life – and how we can all change our lives with one little word. Yes. “Saying yes for an entire year turned out to be one of the most amazing decisions I have ever made,” said Rhimes. “It was also a little insane, a lot terrifying and sometimes wildly embarrassing. So this is not a story I ever planned to share with anyone. However, once Simon & Schuster asked me, I had no choice – what else could I say but yes? Rucci acquired World English rights from Jennifer Joel, partner at ICM Partners. Simultaneous with the hardcover edition and eBook, Simon & Schuster Audio will publish an unabridged audiobook. executive producer of the ABC series “How to Get Away with Murder,” which premiered in 2014 as the number one new show of the Fall in adults 18-49. Rhimes has twice been included in TIME Magazine’s 100 list of the most influential people along with Fortune Magazine’s “50 Most Powerful Women in Business,” Variety’s “Power of Women” and Glamour Magazine’s “Women of the Year.” In 2013, Rhimes was appointed by President Obama to serve as Trustee for the John F. Kennedy Center for the Performing Arts. Rhimes was additionally a 2014 recipient of the W. E. B. Du Bois Medal from Harvard, the Sherry Lansing Leadership Award from The Hollywood Reporter and was named to both the 2014 New Establishment list for Vanity Fairand the New Guard List for the most connected women in America for Marie Claire. In 2015, Rhimes was awarded the Paddy Chayefsky Laurel Award for Television Writing Achievement from the Writers Guild of America, West, as well as inducted into the National Association of Broadcasters Broadcasting Hall of Fame. She was also bestowed the Eleanor Roosevelt Global Women’s Rights Award from the Feminist Majority Foundation in recognition of her work in changing the face of media. Rhimes holds a BA from Dartmouth College in English Literature with Creative Writing, and she received her MFA from the USC School of Cinema-Television, where she was awarded the prestigious Gary Rosenberg Writing Fellowship. She resides in Los Angeles with her three daughters.